The next time you go on a vacation to Europe, you will be prepared. We have assembled a list of the best casinos in Europe, so that you can have the perfect gambling trip. Read our traveler review to know which casino hotels are worthy of your time and money. Depending on the gambling law of each individual country, there are many quality land-based casinos across the European continent. Not only will you enjoy their game selection, but you will also get to indulge in a variety of other activities. The places we are about to describe comprise both accommodation and gambling sections. Therefore, having a vacation at one of the following destinations will provide both relaxation and thrill. They combine your passion for traveling and gambling in a unique way. If you are eager to explore secluded places located high above the sea level, Parc Hotel Billia is the perfect resort for you. It is situated in Saint-Vincent — a small town rich in history. Its nickname, “The Alps Riviera,” sounds promising, and so will the description of the complex we are about to share with you. This hotel offers a wide range of services in order to make you feel as comfortable as possible. Its reputation, reflected in its four stars, is well-deserved. You will enjoy your stay regardless of what you may expect from a vacation. Other than an outdoor and an indoor pool, there is also a children’s swimming pool, which speaks in favor of the statement that this is a family-friendly place. In addition to that, you can bring your pet with you. The Parc Hotel Billia provides accommodation for your furry friends as well. When it comes to the gambling area within this complex, you will be pleasantly surprised to know that Parc Hotel Billia comprises one of the largest casinos in Europe. The space it occupies is put to good use, as the game selection is rather abundant. And aside from slot machines, you will get to choose from a vast number of table games. Besides that, variations of Roulette, Baccarat, and poker, as well as Blackjack are some of the games you may profit from. In case you are a member of the loyalty club, you can look forward to special rewards. Parc Hotel Billia also organizes tournaments and regularly notifies its guests about them. Upon its opening at the beginning of the 20th century, the Ritz was considered one of the greatest, most prestigious hotels worldwide. It has maintained its reputation to this day, thanks to its design and the variety of services it offers to its guests. The location of this resort is the very heart of the city of London. If you choose it as your accommodation, you will only be a short distance away from some of the greatest sights of London, such as Buckingham Palace and Big Ben. 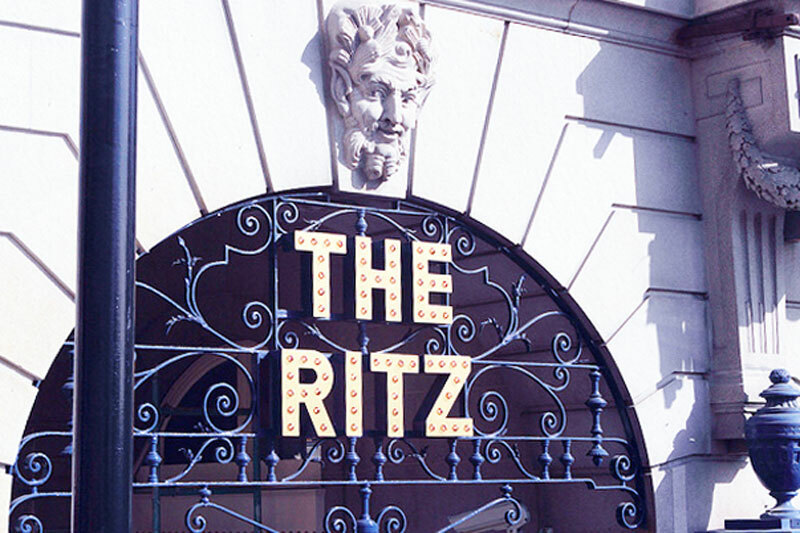 Thanks to its elegance and reputation it has built over the years, the Ritz is the perfect choice for events such as weddings, private dining, and meetings. Due to its capacity, it can cater to the various needs of its guests. However, the one that interests us the most is gambling. The gambling section is actually the Ritz Club — an area on the lower ground floor of the establishment. It owes its luxury to the fact that is was previously a ballroom. And if you are a member of the club, you will get to play one of the games offered there while dining in the finest restaurants within the casino. As for the games, all the classic ones, such as Roulette, Blackjack, and variants of poker, such as three card poker, are available. If you are striving for a relaxing retreat that can offer great entertainment, this French resort will be your favorite destination in the world. Magnificent architecture and design, marvelous scenery, luxurious suites, and high-quality restaurants are some of its characteristics. The first thing you will notice once you enter this establishment is the way it combines the style from almost a century ago with modern details. Every room is unique in terms of design. Each of them possesses all the necessary facilities in order to make your stay as comfortable as possible. The vast number of activities exist with guests in mind. You will have a swimming pool, a sauna, a fitness room, and other areas whose mutual purpose is to contribute to the overall relaxing atmosphere. Moreover, among the wide range of activities, there is a gambling area, which is a perfect addition to the otherwise calming surroundings. There, you can choose between 314 slot machines and a variety of table games. So decide your preference and indulge in your choice. Spain is an appealing holiday destination on its own. 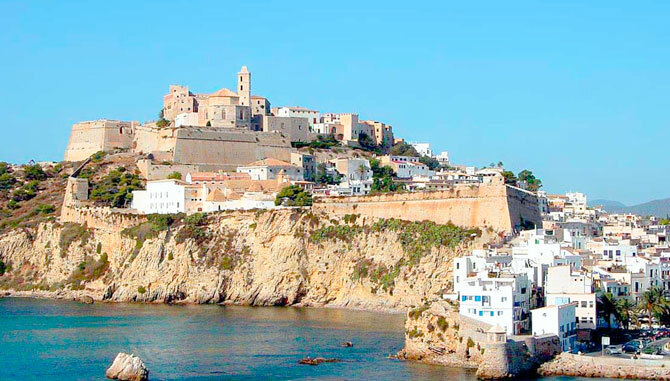 Ibiza is the most attractive part of this Mediterranean country. So when you have an option of staying in a resort such as the Ibiza Gran Hotel, that seems like a dream come true. This complex combines relaxation and gambling in the most amazing way. Set in such surroundings, it represents the perfect gambling venue for all of you whose idea of a perfect vacation includes an island getaway. Accommodation this resort has to offer provides you with tranquility you need, thanks to the gardens that surround this establishment, creating a unique scenery. All the rooms are furnished according to the highest standards. In addition, the services the hotel staff provides include childcare, a hair salon, as well as restaurants and a spa. Among the variety of activities, you will certainly find the ones that suit you. And when it comes to the gambling area, the one the Ibiza Gran Hotel contains features a wide range of games. So whether you prefer games of chance to those that require strategy or vice versa, you will enjoy your gambling experience in this exotic resort. The casino comprises slots, video slot games, poker, and even bingo and keno. We have arrived at our destination — the top of the list of the best casino hotels in Europe. Casino de Monte-Carlo is a resort that represents the absolute favorite gambling venue of many gamblers. This complex gives out the impression of a palace, as one would expect from a monarchy. It was actually the idea of a princess to open a casino in Monaco. Therefore, it does not come as a surprise that the whole establishment appeals to those who have a refined taste. In fact, the entire complex resembles a castle. The gambling area within the resort is a lovely casino, designed in a way no gambling venue has ever been before. Gambling and art go hand in hand at this place. The tables you will get to stand at while playing some of the classic games have been hand-crafted. That is just one example of the surroundings you will get to marvel at if you visit this resort. And when it comes to table games, all the classics are there. Variations of Roulette, Blackjack, Craps, and various poker variants are all available within this casino. However, if you would rather spin the reels than develop a strategy, you can choose among the vast selection of slot games. 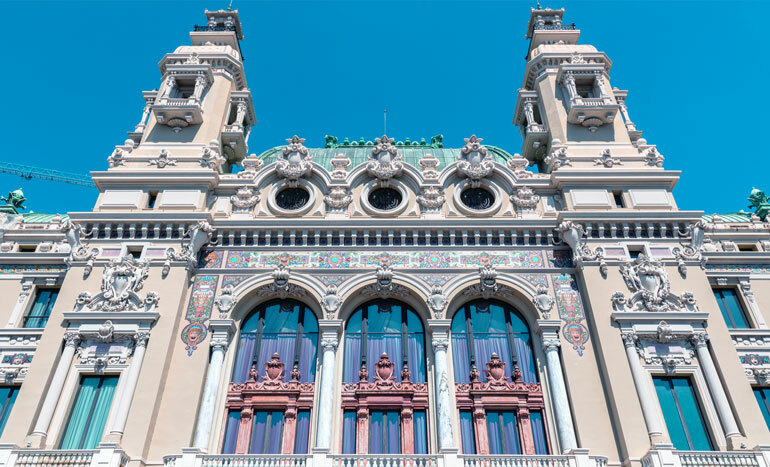 All in all, Casino de Monte-Carlo pays great attention to detail. So if you are curious about what a monarch’s gambling experience would be like, see for yourself why this resort is our absolute favorite. In case you are seeking to satisfy both a tourist and a gambling aficionado within your persona, you will appreciate the diversity we have included in our list. There are places suitable for families, secluded retreats, luxurious, and modern complexes. Each of them will fulfill your gaming requirements thanks to the abundant game selection they show for and provide you with a memorable vacation at the same time.